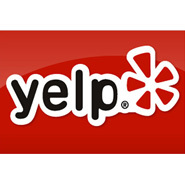 Our team of experts are good at finding and removing negative and fake Yelp reviews. We will dig deep, analyzing a user’s profile, or their related accounts, to challenge the validity of those reviews. We will also look for content that may be against the Yelp Terms of Service. In addition, if our clients can provide any hard evidence on why a review is not accurate, we can then use the evidence and send a legal letter to Yelp to request their removals.